Vitamins & MineralsNOW Foods Vitamin C-500 with Rose Hips - 250 tabl. 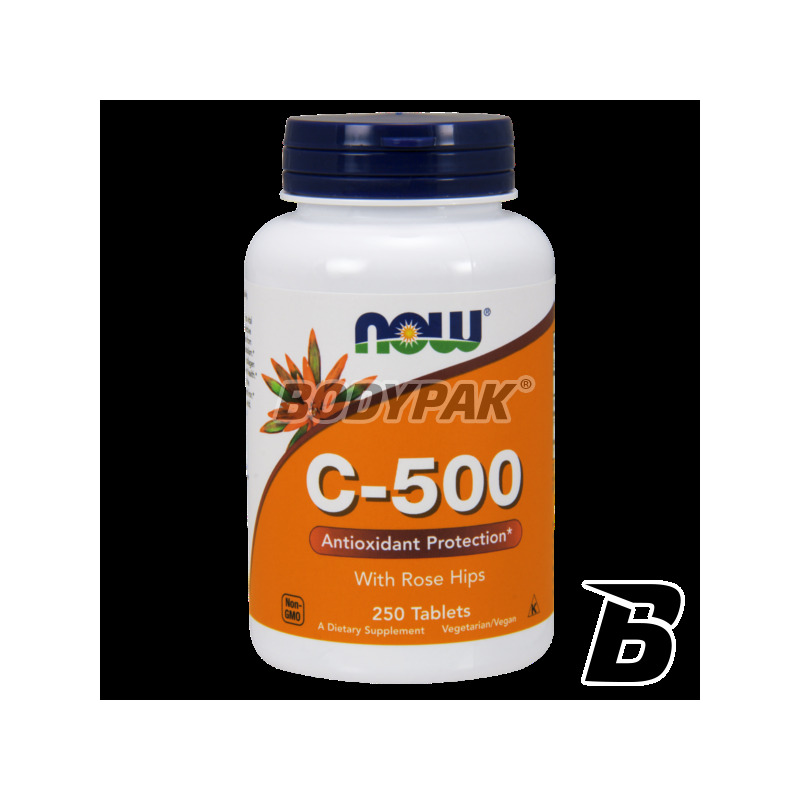 NOW Foods Vitamin C-500 with Rose Hips - 250 tabl. High-quality dietary supplement that contains a solid dose of vitamin C with the addition of wild rose. The product was developed specifically for people seeking highly absorbable preparation! 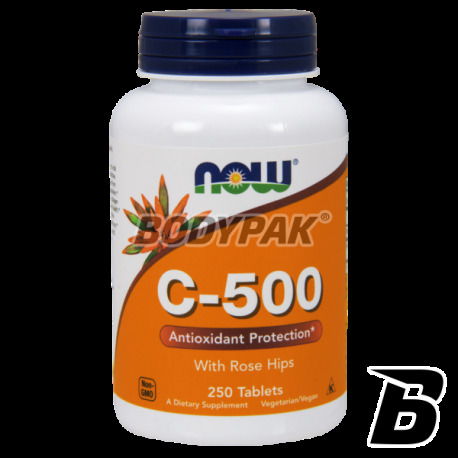 NOW Foods Vitamin C-500 with Rose Hips - 100 tabl. NOW Foods Vitamin C-500 with Rose Hips is a source of highly absorbable form of vitamin C. It contains a valuable addition wild rose, which not only is a natural source of vitamin C, but also has a positive effect on the absorption of the entire preparation! Due to the high strength of the body antioxidant support to fight free radicals, strengthens the immune system and accelerates the regeneration of joints (involved in the synthesis of collagen). Vitamin C is one of the most powerful antioxidants, which further helps to normalize levels of cortisol (stress hormone). You should know that the briar also provides natural bioflavanoids, organic acids, pectin and kaotenoidów! NOW FOODS VITAMIN C-500 WITH ROSE HIPS - THE POWER OF NATURE CLOSE IN TABLETS! Inne składniki: substancja wypełniająca: celuloza, kwas stearynowy (pochodzenia roślinnego), stearynian magnezu (pochodzenia roślinnego), dwutlenek krzemu, powłoka wegetariańska.